We all know the feeling. We have too many clothes stuffed in our closets. So why is it that every time we go to get dressed, we have nothing to wear? As we roll into the New Year, try these tips to clear out the closet clutter. We wear 20% of our clothes 80% of the time, so take a good look at your wardrobe. Start by asking yourself did you wear that boxy jacket in the last year? Do you still love it on you? Does it fit properly? If not, it’s time to let go! Create 3 piles. One to donate, one to sell, one to toss. Be honest with yourself. If you weren’t crazy about it last year, it’s probably time to say goodbye. Organize your closet by categories putting all your pants together, shirts together and so on. Hang them by color from dark to light and long sleeve to short sleeve. Be sure and hang the clothes you need to access the most up front and what you don’t need you can tuck away in the back. You’ll find it’s easier to put outfits together in a hurry when it’s set up like a boutique. No more dry cleaning bags and wire hangers! Pick a uniform hanger, preferably a slim profile like a felt hanger. 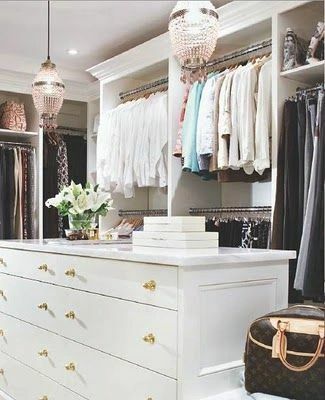 It will give you more room to hang clothes and give your closet a clean and organized look. And don’t clutter the top of a dresser with all your jewelry. 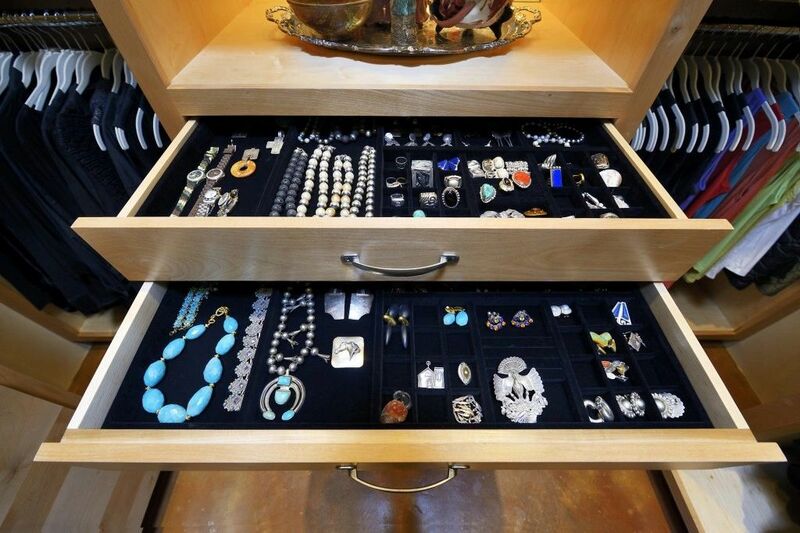 Consider a velvet jewelry tray that can drop in the top drawer. It will simplify accessorizing. When your clothes are organized, you can easily see what pieces you want to pick up this season to update your wardrobe. Let’s make it fun to throw open your closet doors every morning and be excited to get dressed and face the day. We know you'll find cleaning your closet pays dividends all year long!